Are you a business owner, freelancer or remote worker travelling to Rome? Subscribe to our newsletter and get instant access to your ultimate guide of coworking spaces in Rome! Thanks for subscribing! Check your inbox for your coworking guide! Send me my coworking guide! The capital city of our favourite hand-gesturing, espresso-drinking, boot-shaped nation, Italy, is one of the most popular travel destinations worldwide. 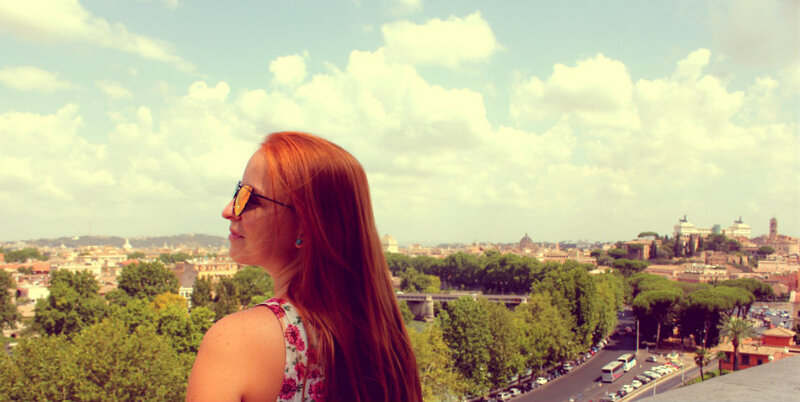 As a traveller, it almost feels like you’re obliged to visit Rome at least once in your life… how can you say you’ve truly experienced Italy without first visiting the ‘Eternal City’? 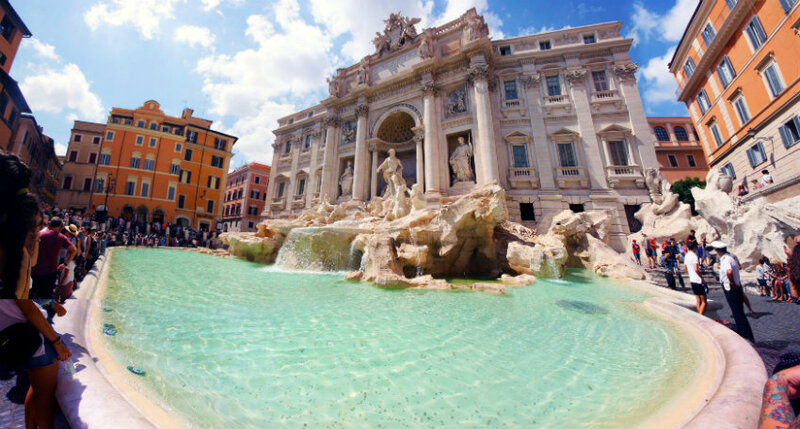 Whilst most will spend their time dedicated to conquering the Colosseum and the combination of the Vatican Museums and St Peter’s Basilica, Rome has much more to offer beyond its major draw cards. Under the Santa Maria della Concezione church, hidden amongst the fancy restaurants and hotels of Via Vittorio Veneto, lie the bones of nearly 4000 Capuchin friars. Whilst you may have seen human bones neatly arranged in rows before (Paris Catacombs anyone?) you probably haven’t seen a place as unique as this. I mean, where else will find you a ‘Crypt of the Pelvises’? The Capuchins are a Franciscan order of friars named after their ‘cappuccio’, a distinct brown hood. This is also where the name cappuccino comes from, as the hood of brown foam on top of the milk could be likened to the friar’s hoods. How did the bones get here? Well, after moving from another monastery nearby, the exhumed remains of these friars were artistically arranged sometime in the 1700s; thought to be the work of Fr. Michael of Bergamo. After briskly visiting the museum of the Capuchins, you’ll find yourself face to face with the fascinatingly morbid arrangements of the ossuary. Chandeliers made of spinal bones; arches of skulls and an entire room dedicated to thigh and shinbones greet each visitor. As unsettling as it may be for some, all 5 crypts show a serious artistic flair; so much so that you forget you’re staring at human bones. Note: photography is strictly forbidden inside the crypt. You can buy souvenir postcards and books with images from the crypt. Even weirder still, purchase a coffee mug for that special someone who needs a morning dose of bones with their caffeine. When you finally find Piazza dei Cavalieri di Malta (Square of the Knights of Malta) you are instantly struck by the weirdness of it all. Is that really a lineup of people patiently waiting for a door that is almost never opened? On the beautifully tranquil Aventine Hill, you’ll find the imposing green doors of the Villa of the Knights of Malta. 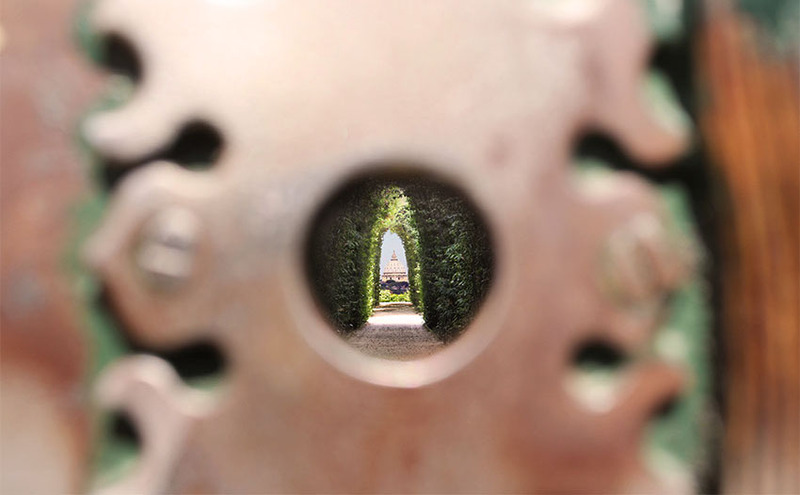 When you step up to the door and peer through the well-worn keyhole you discover two beautiful rows of cypress trees that perfectly frame the impressive dome of St Peter’s Basilica. No one knows for sure whether this is a happy coincidence or the well-intentioned work of Giovanni Piranesi who is responsible for designing the villa and surrounding gardens. I’m guessing it’s the latter. The Aventine Keyhole is one of those unique experiences that are annoyingly hard to photograph, despite many (myself included) trying hard for the perfect shot. The fact that it is a one-person-at-a-time experience is also a great novelty in a city overrun by masses of eager tourists and travellers. As a bonus, the gardens of nearby Santa Sabina are some of the most relaxing in all of Rome. The view of the city from those gardens is hard to beat and sunsets up there are glorious. Time: All hours, as long as there is sunlight! Although it is one of the most significant churches in all of Catholicism (and reminiscent of a Pink Floyd album name) this beautiful basilica is sparsely visited and well outside the scope of most visitors to Rome. Roman Emperor Constantine I originally commissioned the construction of the church at the site of the burial place of St Paul, with the rhythmic name stemming from its location outside the Aurelian Walls – Rome’s ancient fortifications. Since it was built in the 4th century AD, it has been tested by an earthquake, lightning strikes and even accidentally burnt to the ground by a maintenance worker in the 1800s. The church appealed for donations for the rebuild and the end result is a grandiose work of architectural brilliance. It’s hard not to feel humbled by the sheer size of the construction, particularly when live organ music is echoing off the walls. The garden in front of the church is quite beautiful too, not many Roman churches can lay claim to such a peaceful exterior. The most curious part of St Paul Outside the Walls however, is the mosaic row of popes, which adorn the main hall near the ceiling. 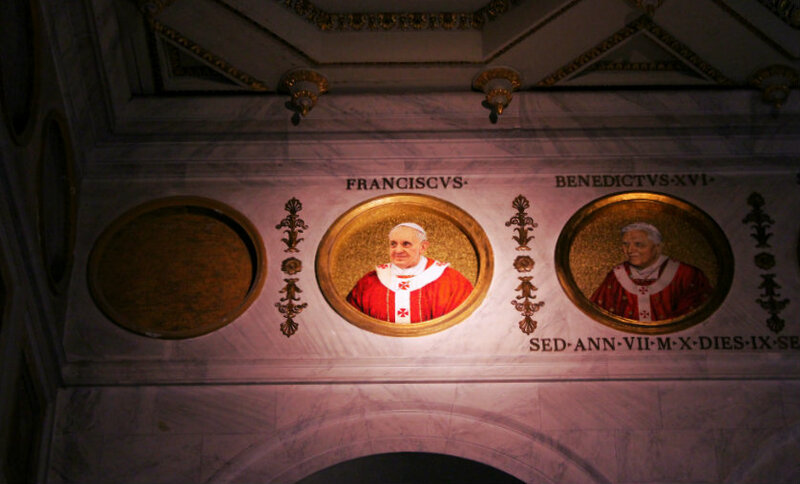 Next to the illuminated portrait of current pope Francis are six empty spaces for future popes. Of course, the Catholic Church isn’t too keen on the theory but some people have claimed that this must mean there will only be six popes left before the Second Coming of Jesus Christ (in other words, the end of the world). Don’t we all love a good conspiracy theory? Contrary to popular belief, St Peter’s Basilica is not the main cathedral in Rome. Yes, it is the biggest church in the world (with equally large lineups), but the head of all the Catholic churches in Rome and worldwide is actually St John Lateran. It is dedicated to both St John the Baptist and St John the Evangelist and is also the official seat of the Bishop of Rome, currently Pope Francis. The building was originally a palace owned by the Laterani family (hence the name ‘Lateran’). Super-villain Emperor Nero stripped it from them after he believed they were conspiring against him. He was also the one who persecuted Christians and is largely blamed for the Great Fire of Rome in 64 AD. The church was consecrated in 324 AD after falling into Emperor Constantine I’s hands, making it officially the oldest church in Europe. Even if churches aren’t your cup of tea, this is a seriously impressive structure and one that most people unfortunately bypass when visiting Rome. The main hall looks similar to an art gallery with its enormous sculptures of the Twelve Apostles and there is that much ‘Gold on the Ceiling’ that The Black Keys might as well hold a concert there. There are THAT many places for gelato in Rome, so why does this one take the cake… I mean, ice cream? Unlike most touristy gelaterias that swarm Rome’s busiest areas, you won’t found heaped mounds of gelato with bright inviting colours here. Instead, all of the flavours are tucked away under shiny silver lids, which make for perfect temperature control. You also won’t find a big lineup at either of the city’s central San Crispino locations. Just like proper Italian food, the flavours are simple and only seasonally available. That means you won’t find the delicious white fig gelato unless it’s during the summer. Importantly, there are also no colourings or additives used. Hence why my personal favourite flavour, banana, looks exactly like the fruit itself, a pale yellowy-gray, instead of a sickly bright yellow. San Crispino prides itself on its natural ingredients. This is a great one for those of you travelling with your partner, mainly so you can get them to order the flavours that you want to try but simply can’t fit in your overflowing cup of happiness. There are no cones in sight; the founder thinks that the sugary wafers detract from the flavours of the gelato. Located in quiet streets away from the hustle and bustle of both the Pantheon and Trevi Fountain, only the well-researched travellers will manage to find these havens of iced goodness. Flavour-wise, my top three are the pink grapefruit sorbet, the Puerto Rico coffee gelato, and the signature San Crispino honey gelato. Alongside pasta, pizza is largely considered the most Italian of all foods. You could go for a nice sit-down meal just about anywhere in Rome and find reasonably good pizza on the menu. Sure it might not be ‘ham and pineapple’ (sorry to let you down Australians) but it will be fairly good. It’s hard to stuff up a pizza. It’s also hard to nail it to perfection. Roman pizza is usually rectangular, thin and served ‘al taglio’ which means ‘by the slice’. To eat the best pizza in Rome, you have to go outside of the restaurant sphere. 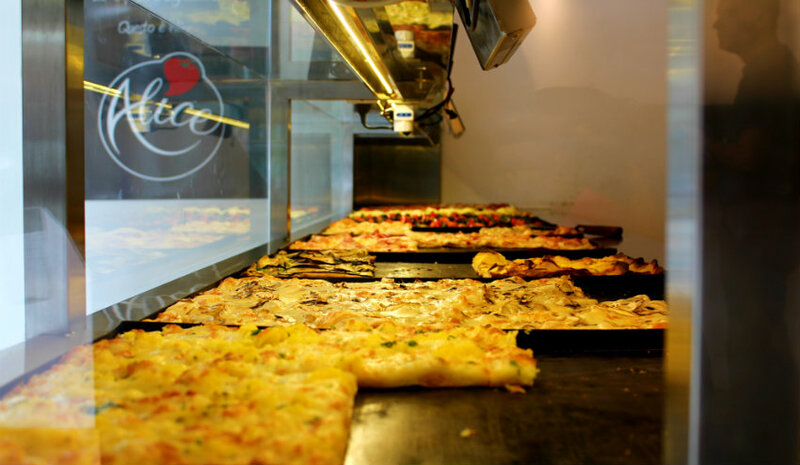 Alice Pizza (pronounced ‘ah-lee-che’) boasts a handful of locations in central Rome and tons more in the outer suburbs. They serve their pizza on paper trays, price it according to weight and it is all displayed in front of you where it is cut to order. Don’t expect to order from the menu either, you choose from the selection that is ready at the time. The light taste of the dough is second to none, the service is fast and you will find fresh ingredients that you never thought belonged on a pizza. Zucchini, eggplant, broccoli, lemon and even baked potato are just some of the curve balls your taste buds will get acquainted with. There’s also a cold, oval shaped pizza that is usually filled with red lettuce and tuna and covered with a thin layer of crust on both sides. Simply delicious! You might even find yourself jostling with a nun or a policeman just to get the last slice of prosciutto and provolone in their Via delle Grazie location near the Vatican City. Vegans, you’re also in luck. Alice Pizza does a fantastic tomato, olive, basil and olive oil pizza, and also a roasted eggplant pizza – both cheese-free; you just have to get lucky with your timing. When you first arrive in Rome, chances are you’re not thinking of visiting an art-gallery-meets-bookshop that has a painting of Wonder Woman holding a Poké Ball in its front window. Fox Gallery is not your typical shop, but it has a wonderfully eclectic mix of books, art, stationery and gifts worth your time. In a city where every single tourist shop is an exact replica of the one you just walked past and ignored 5 metres earlier, it is refreshing to find a place doing things differently. I know you might need a plastic gladiator outfit one day, and when you do there will be 500 shops you can potentially visit to satisfy your need to emulate the not-very-Italian Russell Crowe. For the times you want to actually sit down and look at something unique, there’s Fox Gallery. If you’ve ever been to an Urban Outfitters shop before, you’ve probably seen their unique mix of overly hipster books, Polaroid cameras and faux vintage trinkets. 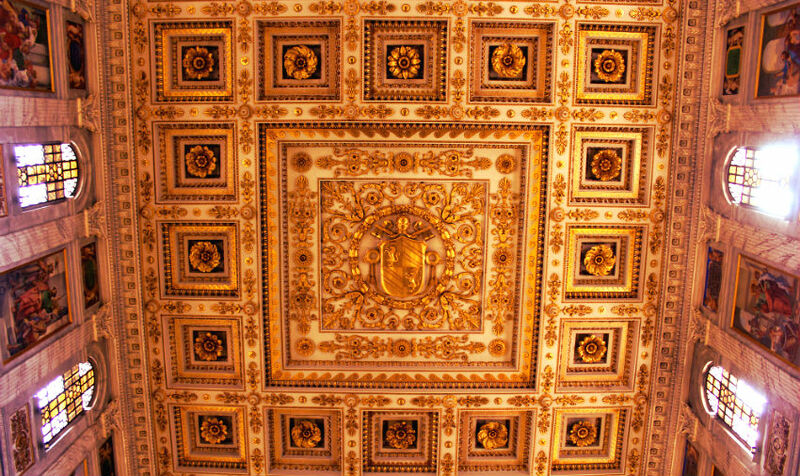 Fox Gallery is exactly that but with a touch of Roman elegance to it. Some of the paintings and prints are incredible and if you have a few hundred Euros to spare you might walk out with an unexpected purchase. Or you might be like Maggie and read the book with pictures of stoked goats, laugh uncontrollably and leave with an enormous smile on your face. After some heavy sightseeing, there’s nothing better than tucking into a delicious dessert. The name ‘tiramisu’ means ‘pick me up’, so it’s perfect for those hot summer days where Rome’s ancient cobblestones have given your feet a proper beating and the temperature is hitting close to 40 degrees Celsius. The Pompi family has spent over 50 years crafting their own version of the popular dessert and it’s both affordable and delicious. Tiramisu, if you’ve never had it before, is made of ladyfinger biscuits (‘savoiardi’ in Italian) soaked in coffee and layered together with a mixture featuring whipped mascarpone cheese and topped with cocoa powder. At Pompi you can find this classic version of the famous dessert, along with several variations, which include strawberry, pistachio and even piña colada during summer. If you’ve just come for the dessert, it is packaged in a convenient little takeaway box with a plastic scoop/fork hybrid inside. Despite looking small, the creaminess and flavour are a knockout combination and you might have to battle against leaving some deliciousness behind in the box. 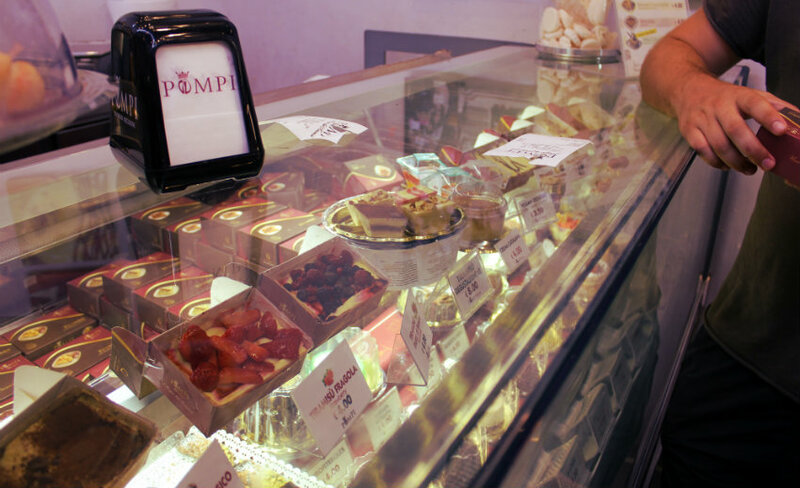 There are some locations of the Pompi chain which feature dining areas, fancy patisserie sections and an extensive range of gelato, but many Romans and travellers alike take their tiramisu and eat it on the go. Miraculously, there is also a gluten-free, egg-free and lactose-free version available too (still delicious although not fully vegan as they use lactose-free dairy products). The Colosseum is an absolute must when it comes to Rome. Not many ancient buildings around the world can lay claim to a history as interesting as the centre of ancient Roman entertainment and gladiatorial battles. Even though my personal favourite building in all of Europe is Rome’s Pantheon (which is very easy to visit thankfully), the Colosseum is well and truly up there with the best. In order to bypass the whopping lines at the Colosseum itself, the best way I’ve found to get in fast is to use the ticket booth at the entrance to the Roman Forum. The ticket you buy for the Colosseum is a combined ticket with the Forum and the often-overlooked Palatine Hill anyway, and costs €12. Note that the ‘underground’ section of the Colosseum is visited using a separate ticket, which is best booked online. Getting to the Roman Forum entrance is easy. When walking away from the Colosseum down Via dei Fori Imperiali, there is a little street called Largo della Salara Vecchia about a third of the way towards the Victor Emmanuel monument. Here you will find the entrance to the Roman Forum and a ticket office. 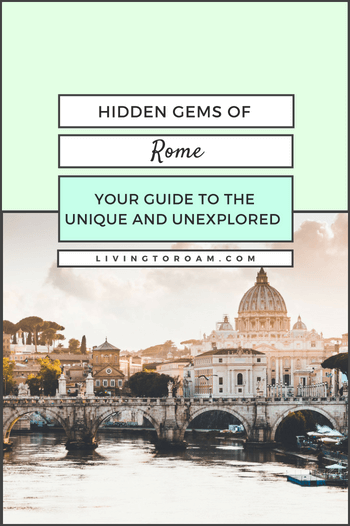 I hope you enjoy these tips and get to experience a side of Rome that not many travellers take the time to see! 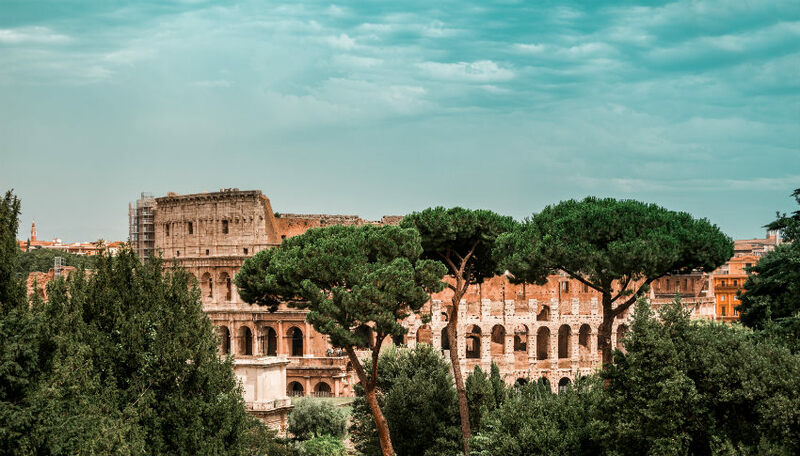 To make sure you are looking after your budget on your Roman holiday, check out our travel guides on accommodation, cheap flights, housesitting and money-saving tips and tricks. For digital nomads, freelancers and anyone working online, unfortunately Rome is not going to top any lists for rent affordability or Internet speed. However, it does boast cheap, tasty coffee and there is a wealth of unique things to do which will keep you busy for a few weeks at least. 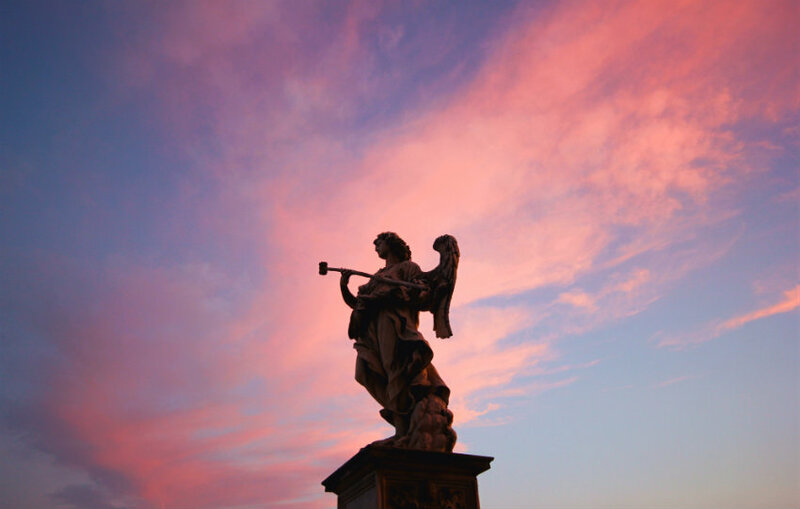 Have you visited Rome and seen any of these sites? Or are there any other hidden gems (not on this list) which you would recommend to us? We’re always keen to discover more. Let me know in the comments below! Are you a business owner, freelancer or remote worker travelling to Rome? Subscribe to our newsletter and get instant access to your ultimate guide of coworking spaces in Rome!